We are a law firm in Batavia, Ohio with substantial experience resolving divorce, dissolution, custody, and support matters. We offer reasonable rates, convenient locations, flat or hourly fee agreements, and accept all major credit cards. 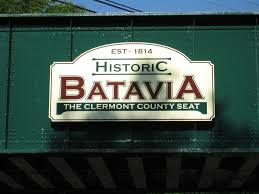 We are local and we know Clermont County. Our firm handles divorces, dissolutions, child custody, and support cases throughout Clermont County. We offer no risk, free consultations to discuss your legal problem. And, if you decide to retain us, we offer reasonable rates, we accept all major credit cards, and we provide excellent client service. We have experience filing new cases and defending existing divorces, with property issues and child support / custody issues, with the impact of foreclosures during or after divorces, with Qualified Domestic Relation Orders, and with post-divorce issues that arise and need court intervention. Our attorneys also have substantial trial and appellate court experience, in case your divorce is contested. We aim to be your complete solution for divorce, dissolution, custody and support issues. Please call us now to schedule a free consultation at 513-443-8850. If you prefer e-mail, you can reach us at Contact@fogelmanfirm.com.